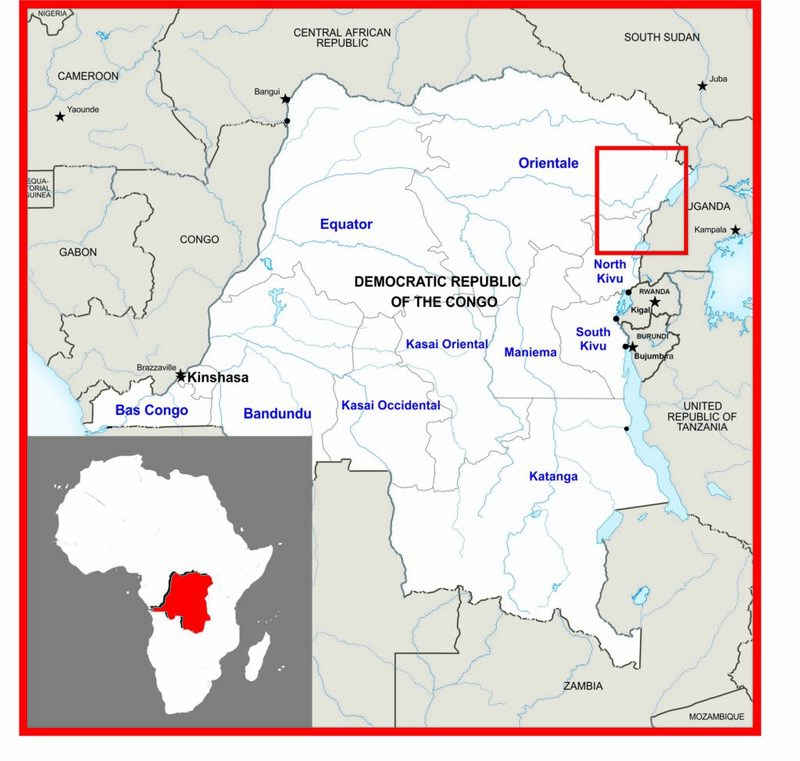 Three people were hacked to death with machetes while three others were kidnapped in a raid carried out by armed men on Saturday, 2 September, in Lahe-Malolu/Vemba village, situated 12km from Beni, in the Democratic Republic of the Congo’s volatile eastern region of North Kivu. Speaking to the UN-based Radio Okapi, the president of the local coalition of civil society organisations said the attack was perpetrated by rebels from the jihadist group, ADF-NALU. “There is an upsurge of violence, with three people massacred, three abducted and one seriously injured. You may remember that last week, five other persons were kidnapped before being released,” said Pastor Gilbert Kambale. Kambale called on the Congolese army and the UN peacekeeping troops (MONUSCO) to take appropriate measures to prevent further massacres of civilians in Beni. The vast region of North Kivu, which borders Rwanda and Uganda, has been plagued by instability for two decades, and civilians have found themselves at the mercy of militias, including ADF. Meanwhile, an uprising which started a year ago in the central province of Kasai, following the killing by the army of tribal leader Jean Pierre Mpandi (also known as Kamwina Nsapu), has since spread to four other provinces, and both militiamen and security forces have been accused of human rights violations. Returning from the DRC, Mark Goldring, Oxfam’s chief executive, expressed alarm at the humanitarian situation, which has so far attracted little attention from the international community. Oxfam notes that “the total number of people displaced in Congo is 3.8 million, making it the largest displacement crisis in Africa. It is also home to nearly 500,000 refugees from Burundi, Central Africa Republic and South Sudan. Over 1.5 million hungry people in the country are one step away from famine”.